Are you expecting a baby soon or did you just have a child? Congratulations! If you’re anything like me, you’re probably making lists of things that you’ll need for your baby. The essentials things. The urgent stuff to buy for the first few days with your baby. And the nice-to-have that can wait. You’ll soon realize that there are a lot of items that you’ll need to get to make your life and your baby’s easier. Your friends and family might want to contribute and bring you gifts when your baby is born. It’s a nice gesture to show that they care and it can be a real help when you look at the long list of expenditures that you’ll have. But from my personal experience, friends and family gifts can really be a hit or miss. 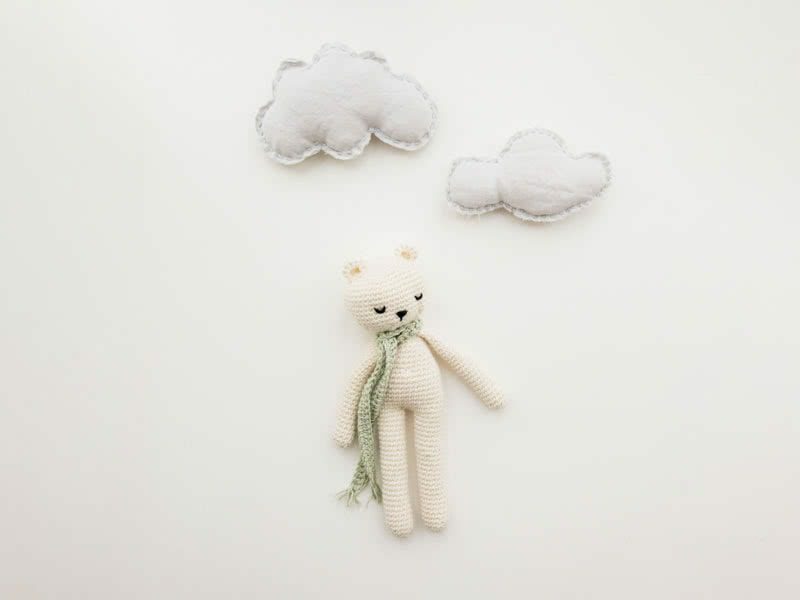 Even your best friends might think that they know exactly what you need and bring you yet another teddy bear or something that you really don’t like during your baby shower. Receiving the wrong baby gift is an embarrassing affair for everyone. And if you just had a baby, there are a million better things to do than going to a store and try to exchange an unwanted gift. At Baby Gear Essentials, we’ve all gone through this. We find that creating a baby registry is the best and easiest way to keep a list of everything you need and help your friends and family at the same time. Did someone say baby gifts? Think of your baby registry as a giant shopping list that you can share with people around you. The best baby registry will help you save time and money (more on that below) but also help you avoid awkward situations when receiving unwanted gifts. So we set ourselves to find the best online baby registry. After comparing all available options, we think that Amazon is the winner. 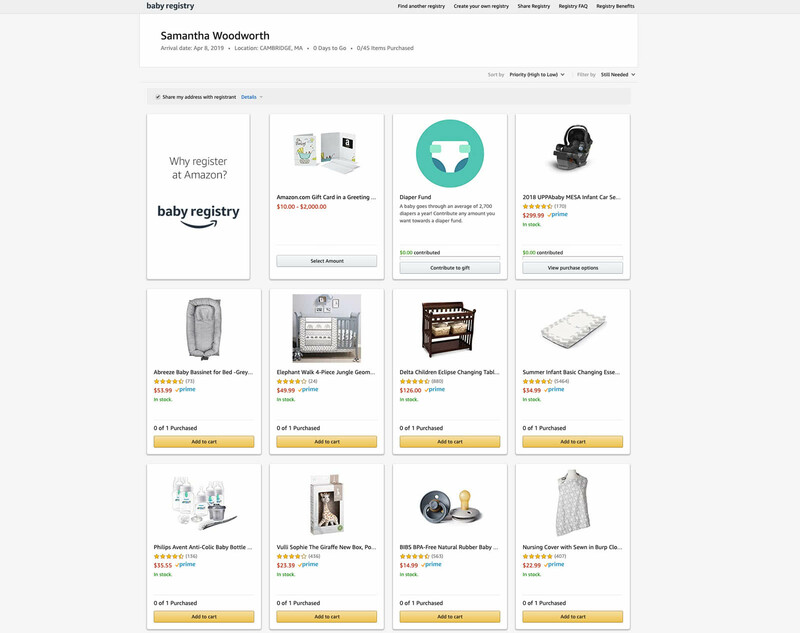 You can see below exactly what we looked for when comparing the different solutions available and why we think Amazon has the best baby registry at the moment. We wrote this guide to Amazon Baby Registry with you in mind. To help you set things up quickly and efficiently. Creating the right baby registry will make your life much easier. You won’t have to worry about thinking of gift ideas, or worse, having to go to a store and exchange a gift that you don’t want to keep. To begin, head over to Amazon and create your registry. Come back to this guide once your baby registry is created. We will show you how to make the best of it step-by-step. Ok, you’ve signed up for your registry? 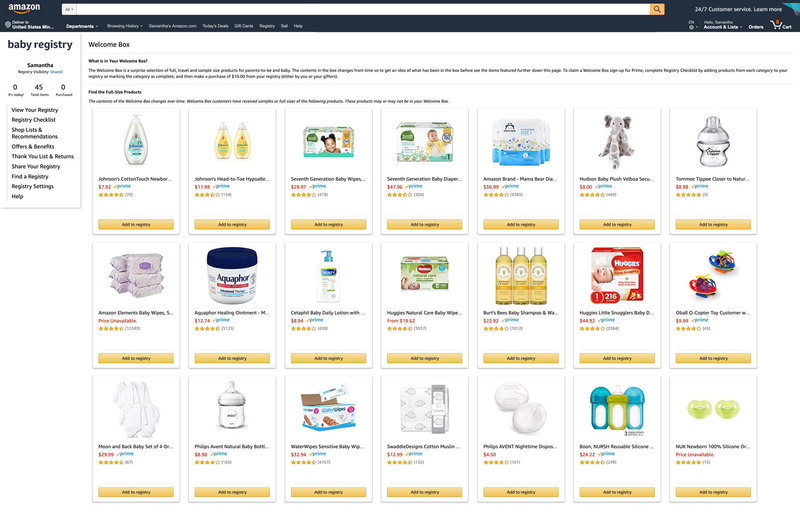 Let’s get started with our step-by-step guide to Amazon Baby Registry. And as a bonus, we’ll also show you how to receive your free welcome box and claim your baby registry discount code on Amazon. From our experience with other wishlists and baby registries, this is one of the easiest and most convenient online registries available. Especially since your friends and family are probably already familiar with Amazon. It will also give you the largest selection of products as you can find virtually everything that you want on Amazon. We wrote a section to help friends and family members know how to use Amazon Baby Registry as a gifter. You can send them to this page if they need help getting started. Ready? Let’s walk through the process step by step. If you haven’t done so yet, start by creating your baby registry on Amazon’s website. Step 1: The baby registry welcome page. 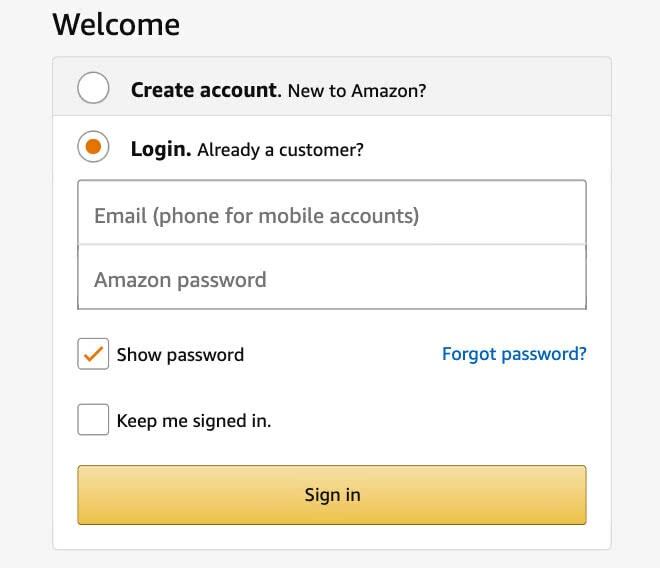 If you’re not logged into your Amazon account or if you don’t have an Amazon account yet, you’ll see a page asking you to login or create your account first. 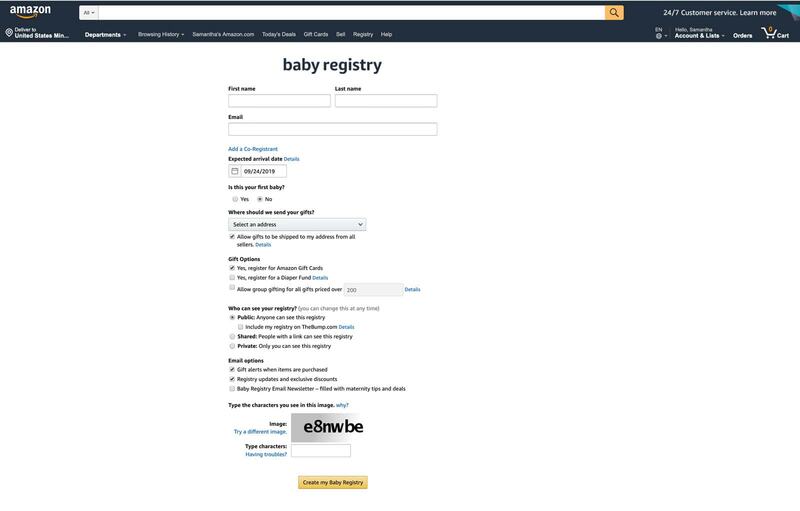 Now that you’re signed up, you can create your baby registry on Amazon. You’ll see a form as pictured below asking you to complete a few basic information about yourself, your baby, and how you’ll want to receive your gifts. Step 2: The baby registry creation page. One of the most important things on that page will be to select the shipping address for your gifts. You can ship to your home address if you’re often home or are ok with leaving parcels on your doorstep while you’re away. Alternatively, you can also select your office address to make sure that there’ll always be someone available to collect your deliveries. You can add your spouse or partner as a Co-Registrant to your baby registry. That way, both of you will be able to view and edit your gifts list. Another useful question to pay attention to is the “Gift Options” selection. You can select to register for Amazon Gift Cards, register for a Diaper Fund, and allow group gifting for all gifts priced over a certain amount. Registering for an Amazon gift card just means that, if people want, they’ll have the option to send you a gift card with a certain credit amount instead of buying a gift. It’s great for people who have a smaller available budget to spend. Registering for the diaper fund allows your friends and family to contribute any amount, up to $550 in total, towards diapers. And trust me, you’ll need plenty of that in your baby’s first year! Contributions are received as Amazon gift cards which you can use to purchase diapers (or anything else on Amazon really). Finally, allowing group gifting for all gifts priced over a certain price is one of my favorite options. One of the biggest problems with most of the other baby registries is that your friends and family can only select to purchase certain items from your list. But what happens if what you want is too expensive for a single person to buy? 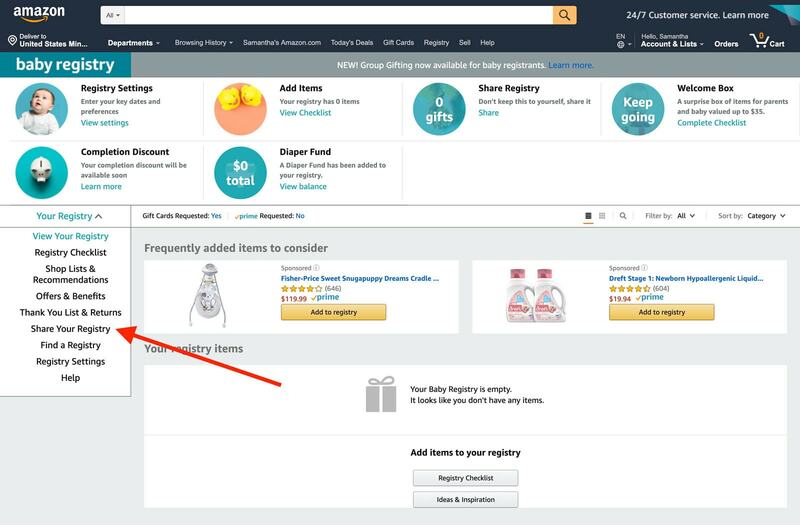 With this option in your Amazon baby registry, you can let people contribute with whatever amount they can to buy a more expensive item. This is great because you won’t have to limit your list to only cheap items. 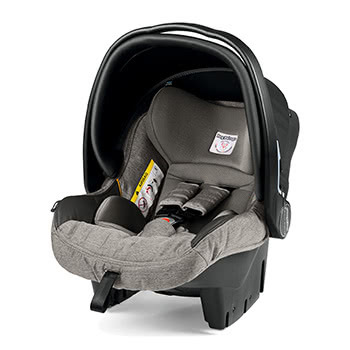 You can also include a great stroller (we recommend the Baby Jogger City Select that has ample room to carry all your baby essentials and is compatible with the best infant car seats using the right stroller to car seat adapter). Make your registry public: Anyone can find and see it online. 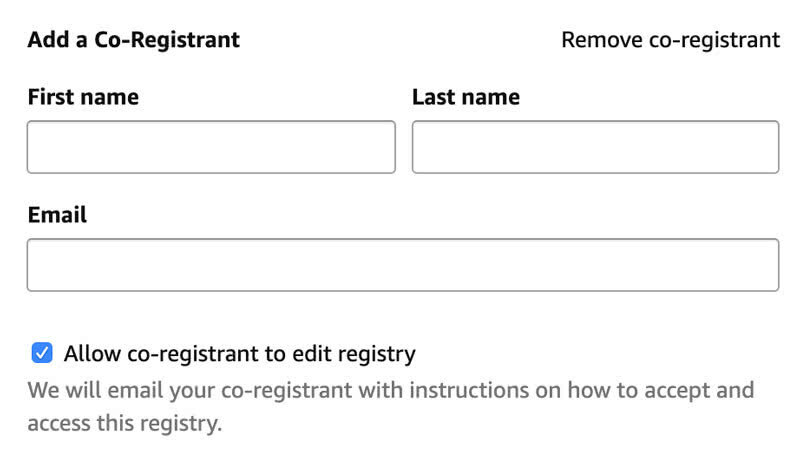 As part of this option, you can also select to make your registry visible on The Bump’s website if you want. Make your registry only visible to people you’ve shared it with. You’ll receive a private link that you can then send to your friends and family. This is our preferred option. Keep your registry purely private. You’ll be the only person able to see your baby registry (and your co-registrant if you added someone else to it). Receive an email when items are purchased. Receive an email about your baby registry updates and exclusive discounts from Amazon. Sign up for the Amazon Baby Registry Newsletter that comes with parenting tips and special deals. After creating your baby registry, you’ll be taken to a page that lets you easily add items to your list. It will look completely empty at first but don’t worry, it’s quick and easy to start adding up stuff to your registry. Step 3: The Amazon Baby Registry account page. 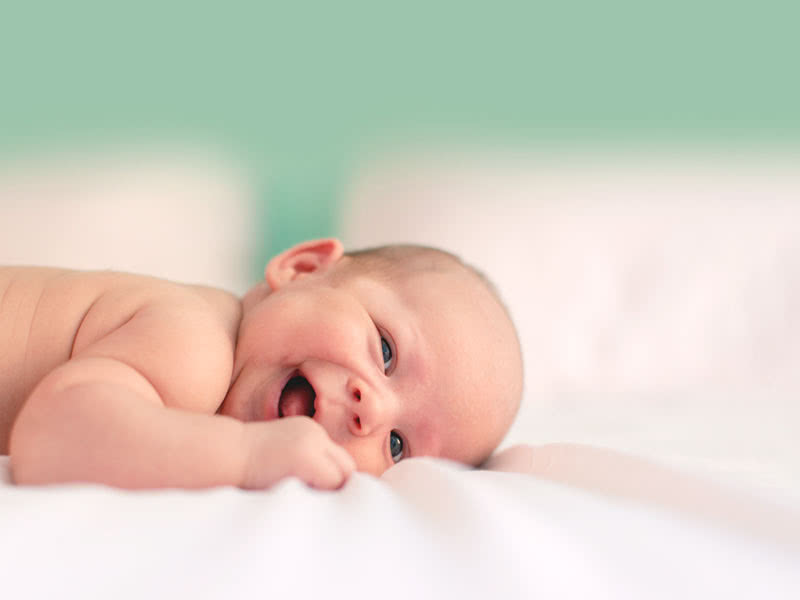 Registry Settings: if you want to go back and change your baby registry settings, such as your list privacy or the expected date of birth of your child. Add Items: this is where you should go next to start building up your wish list. Share Registry: this is where you’ll find the shareable link to send to your friends and family. Welcome Box: once you’ll have completed the baby registry checklist (more on that below), Amazon will send you a surprise box for parents and baby valued at up to $35. Completion Discount: in addition, once the checklist is completed you’ll also receive exclusive discounts of up to 20% off. These discounts might be tied to your Prime or Amazon family membership (more on that below). Here’s the help page describing all the terms and conditions for the discount. Diaper Fund: if you selected to include a diaper fund in your registry settings, you’ll see here at a glance how much people have contributed to it. 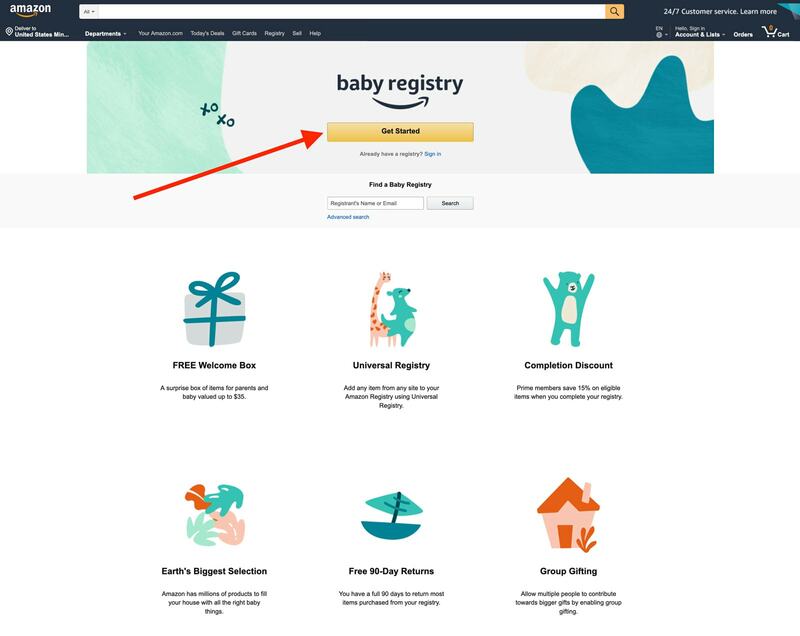 If you check your mailbox, you should have received an email from Amazon by now with a few tips to help you get started with your new baby registry. The Amazon Baby Registry getting started email. 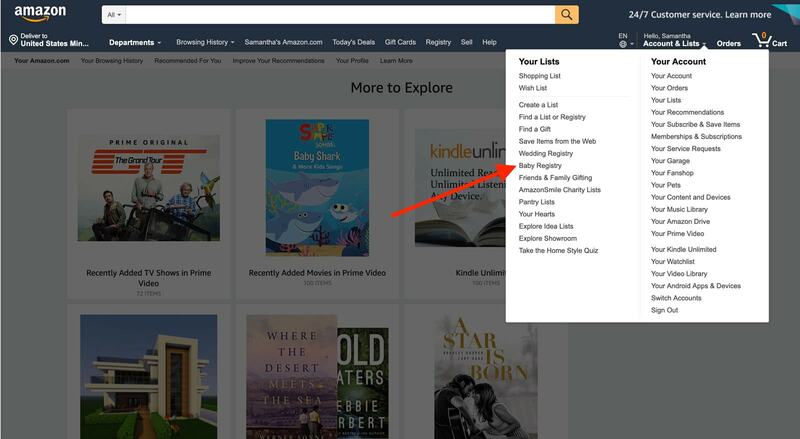 You can use the registry checklist: it’s a curated list of bay essentials prepared by Amazon to help you get started. It’s the best way to begin if you’re unsure about what you need. The checklist is organized by categories and includes the best-selling items under each category. 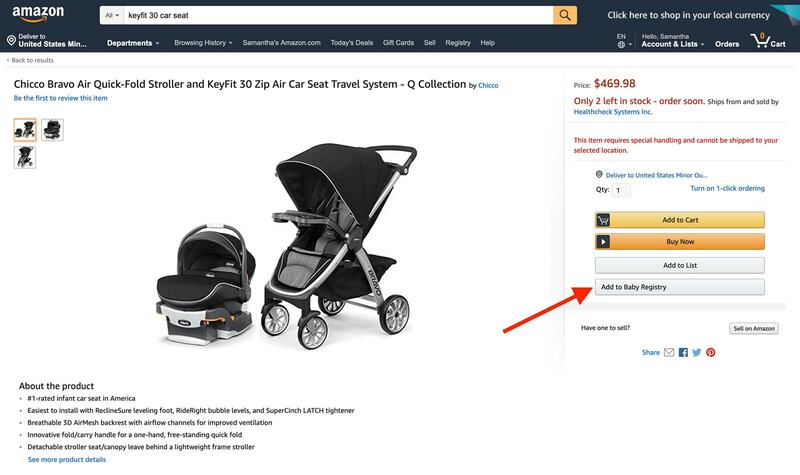 If you already know exactly what you want, you can also go directly to a specific product page on Amazon and add that product to your baby registry. After creating your registry, a new button will appear on the right-hand side of the page. A new option to add items directly to your baby registry appears on product pages. 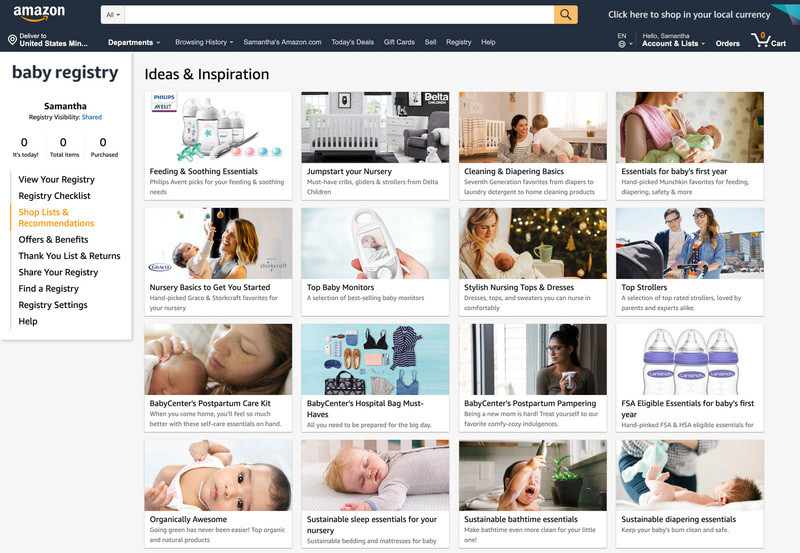 Finally, if you prefer to browse and be inspired, Amazon has a long list of editorial content filled with ideas to help you with your baby. It’s not the most efficient way to go about starting your registry but it’s a great option to look for additional ideas once the most important products have been added to your list. Content includes articles such as Khloé Kardashian’s Baby Essentials and the Most Popular Registry Purchases. Find ideas and inspirations for your baby registry with this list of articles. As you add items to your wishlist, your registry will start to fill out. You can easily edit or remove the products on your registry at any time. You can also directly purchase some of the items if you need them more urgently. Now that your baby registry is ready, it’s time to share it with people around you so they can buy you gifts. Note that you can always add or remove items to your registry even after sharing it with your friends and family. No problem if you change your mind on something later. You can also return products to Amazon if you’re unhappy with your selection. To share your baby registry, simply click on the “Share Your Registry” section. Step 4: Click on “Share Your Registry” in the left-side menu. If you selected to have your baby registry publicly available or private but viewable to people with the link, this is where you’ll be able to get that link. Simply send that URL to anyone interested in buying you a present and they’ll be able to see your registry. The magic link. Simply share that URL with your friends and family. When opening that link, your friends and family will be taken to your baby registry on Amazon. They’ll be able to filter your wishlist by price (low and high), of course, but also by order of importance. Products that have already been bought will be clearly marked so you don’t receive them twice. 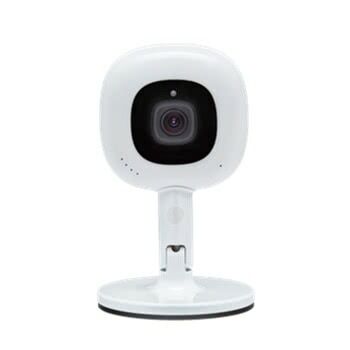 This is what your friends and family will see when looking at your baby registry. Once your baby registry is out in the world, you can sit back and relax. You deserve some rest! 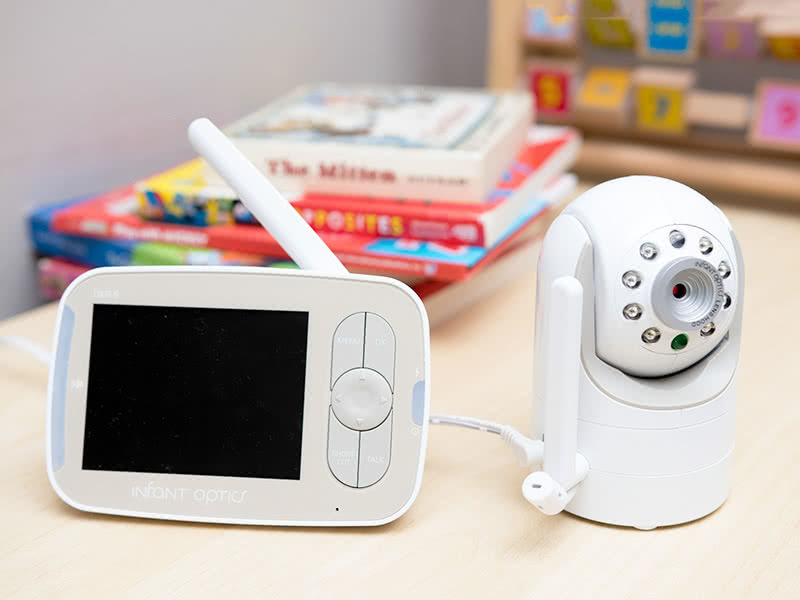 You can go back and keep an eye on what people have already bought you at any time by logging into your baby registry (found under your account and lists tab). Step 5: This is where you can find your baby registry in your Amazon account. You can also receive email alerts about deliveries if you want. 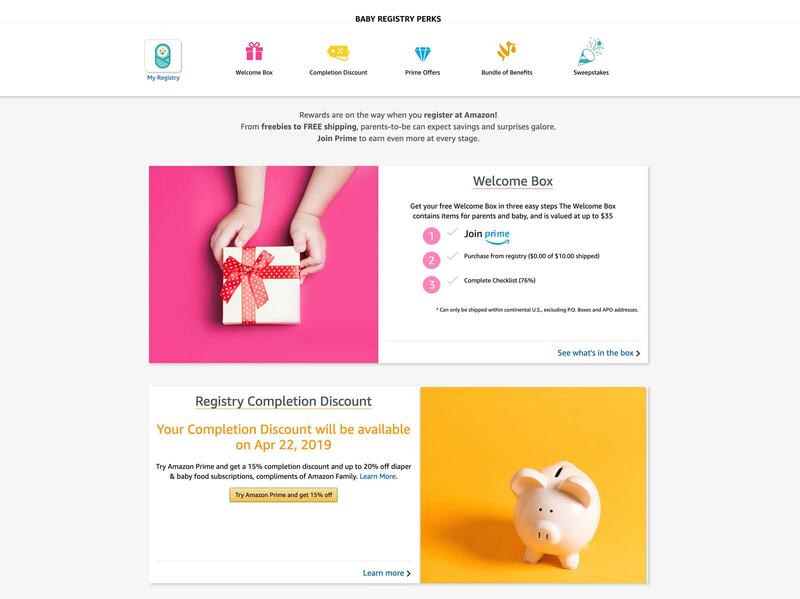 Bonus: How to claim your Welcome Box and Completion Discount? As soon as you create your baby registry on Amazon, you can receive a welcome box and discounts on a large selection of baby essentials. But you might wonder, how do I get my welcome box from Amazon baby registry? The Welcome Box and Baby Discounts on Amazon. To claim your welcome box, you’ll have completed the baby registry checklist described above. You’ll also have to join Prime if you don’t have an account yet. You can sign up for Amazon Prime here. It’s quick and easy and you’ll get amazing benefits out of it. For example, with my Prime membership, I get 2-hours free delivery for any order on Amazon. I also get access to Prime Video (it’s like Netflix but with their own shows) and a few other perks. You’ll also need to have received at least for $10 worth of gift from your registry. Note that this can be something you bought for yourself if you want as well. Just make sure it was on your baby registry when you bought it. So, what’s in the welcome box? The Welcome Box is a surprise selection of full, travel and sample size products for parents-to-be and baby. Here’s a selection of what you might expect. What you can expect to receive in your Amazon Baby Registry Welcome Box. The discounts are much more interesting, however. Especially if you’ve signed up for an Amazon Prime membership as the discount goes from 10% to 15%. The idea is that you can purchase anything that’s on your list at a discount price two months ahead of your due date. Make sure to add any item that you want on your baby registry. Even if there is an essential that you’ll need before your baby is born and it might be too soon for people to buy it for you, just add it to your list. You’ll be able to buy it at a discount when the time comes. Note that you don’t have to rush to buy things with your discount before your baby is born. The discount is still valid for two months after your due date. In total, you can use your discount on up to two orders of $2,000 of combined value. 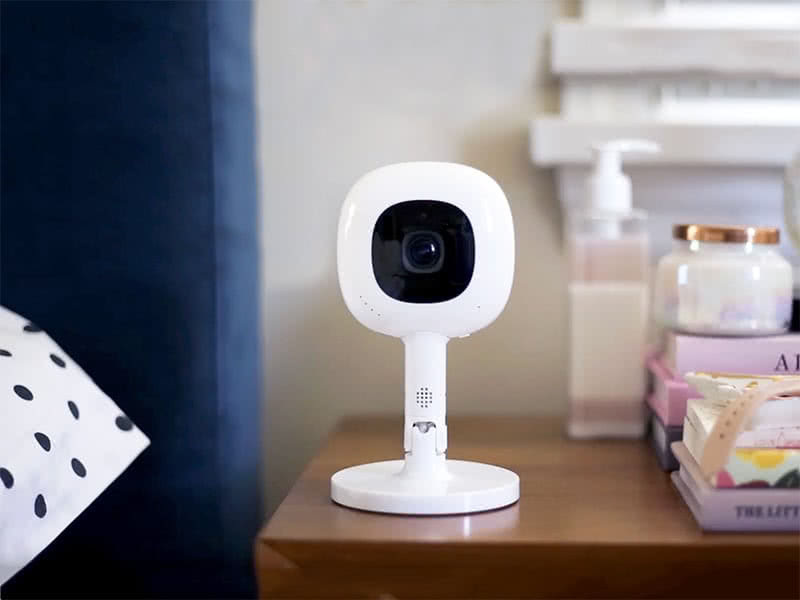 If you’ve received a link from new or soon-to-be parents sending you to their baby registry on Amazon, you’re in luck. It’s one of the easiest ways to buy a gift that you know they’ll want while staying within your budget. You can see here at a glance all the items that the parents would like to receive. On the top right, you have the option to filter by price and priority. You can also see what other people have already bought. 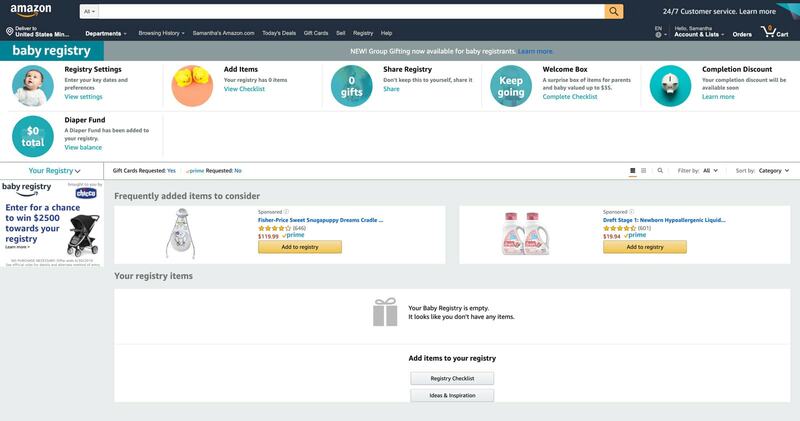 Wondering how to find someone’s baby registry on Amazon if you haven’t received the link? If the parents made their registry public, you can easily search for it via the registry search box here. Just add the parents’ name and location and Amazon will give you a list of potential matches. How do you look up a baby registry on Amazon? When buying a gift from an Amazon Baby Registry, make sure to check this box to let the parents know that the gift is coming from you. What should you include in your Baby Registry? So you’ve created your baby registry, now what should you include in it? While creating your baby registry on Amazon is quick and easy, knowing what to include in your wishlist can be a bit more tedious. We recommend that you think in terms of timeline. There are a few essentials things that you’ll need to buy yourself ahead of times, and others that can wait. From our experience, it’s best to include only items that you won’t need urgently. Most people will give you a gift only after your baby is born. But there are a few essentials that you’ll need before the due date. 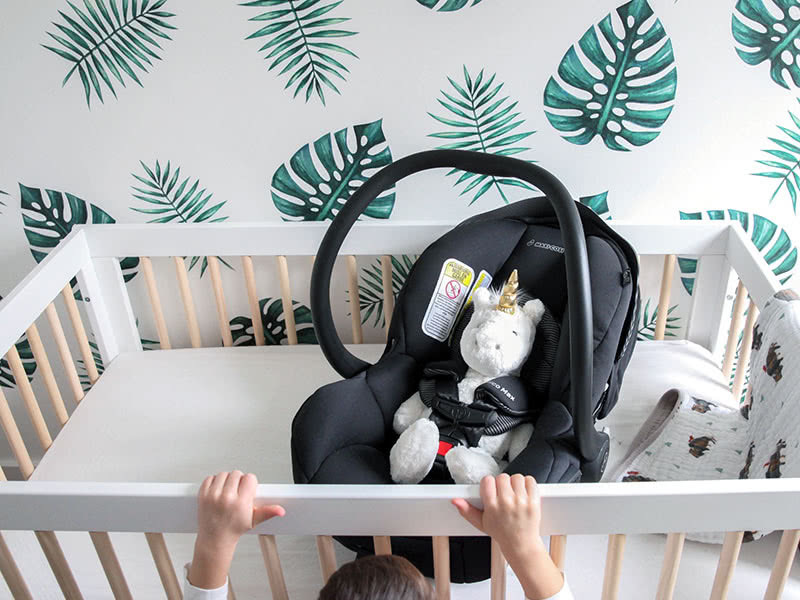 The most important, in our opinion, is a good infant car seat as you’ll need it to leave the hospital (see our list of the best infant car seats if you need help choosing). You should also pack a few baby bodysuits and diapers. If you started your list well ahead of your due date, it’s also worth including one or two very expensive items that you might want to purchase using your baby registry discount. Just keep in mind that you’ll need to wait at least 14 days after creating your list for the discount to be valid. Everything else should go in your baby registry. They are important and valuable products, but you won’t need them immediately after the delivery. Think more clothes, stuffed animals, covers, etc. Those are perfect for your friends and family to gift. I only discovered Amazon Family after creating my baby registry for my second child. 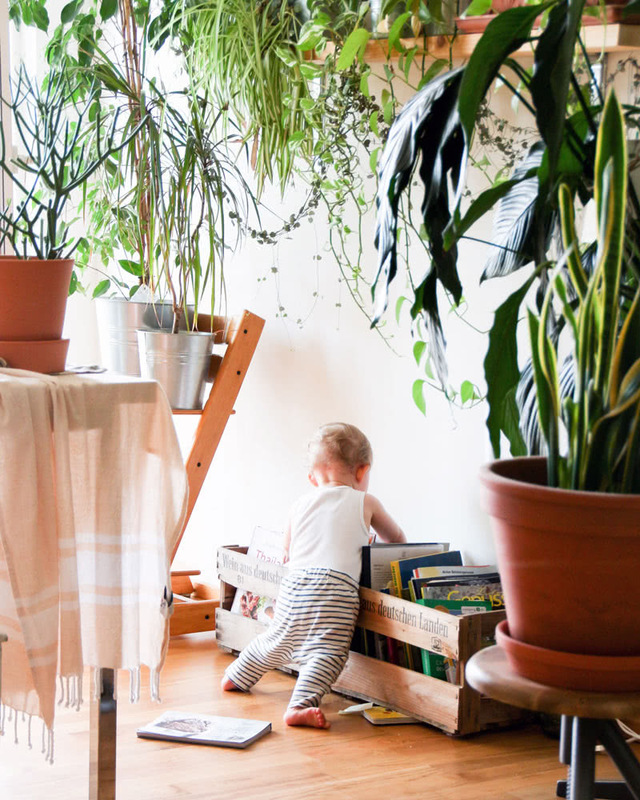 I wish I had known of it for my first child because it helped me save so much money! 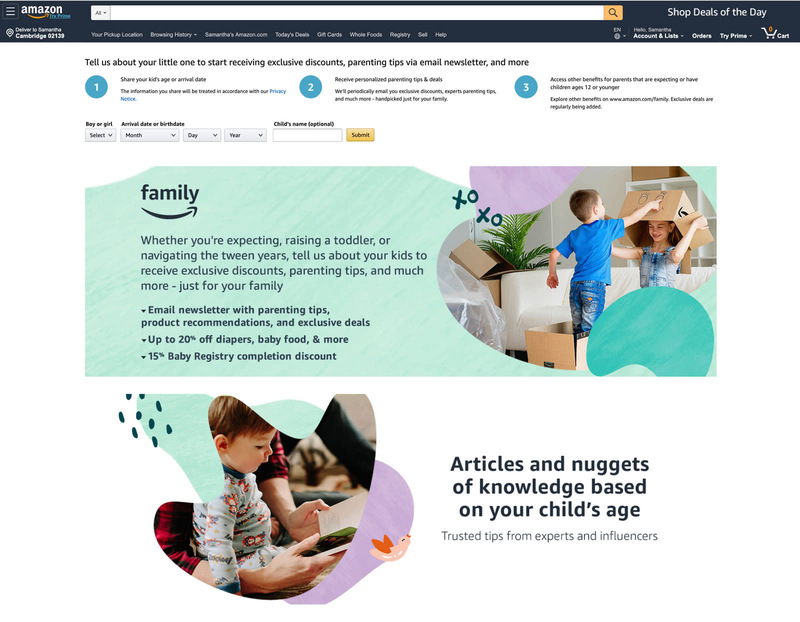 With Amazon Family, you can save up to 20% on diapers and baby food, for example, but also get the 15% Baby Registry discount and receive regular Amazon coupons and discounts. It’s brilliant! Honestly, I think Amazon should simplify a bit their offering because it gets a bit confusing between Prime, Family, and the baby registry. But basically, they all work hand in hand to give you extra discounts when you buy on Amazon. You can sign up for a 30-day free trial here and see for yourself. It’s free if you already have a Prime subscription. You just need to enter your children’s age and Amazon will give you age-based tips and discounts. It’s that simple. What should you look for in a great baby registry? We’ve tried the most popular baby registries over the past few years, both in store and online. So we have a pretty good idea of what makes a great baby registry. It should be quick and easy to add or remove items from your wishlist. It should be easy to share and simple for everyone to use (even the less tech-savvy people around you). It should help you save money by finding the best deals and discounts for items on your list. 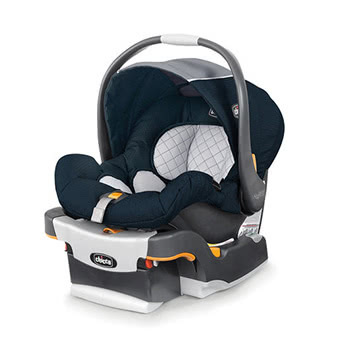 A great baby registry will also go the extra mile and offer a few additional features. 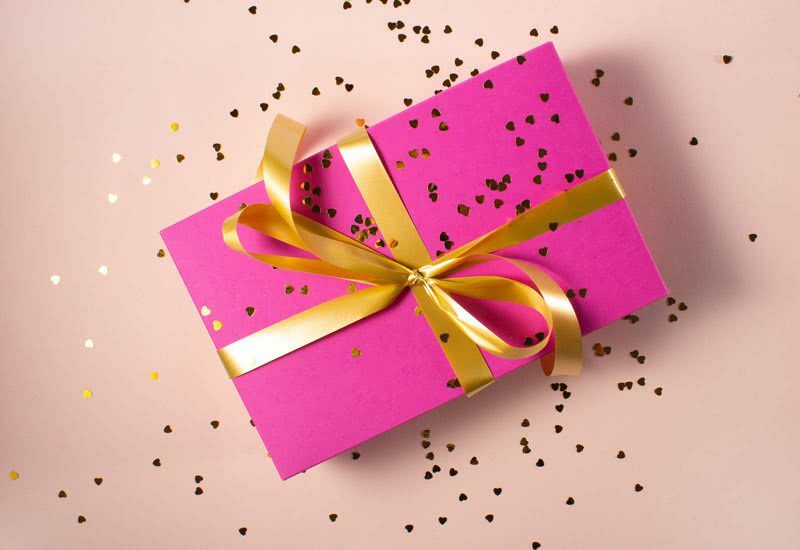 We particularly like registries that let people contribute to an expensive gift (perfect if you need something too expensive for a single person to buy). We also prefer registries that let you add items from any websites, not just their own stores. 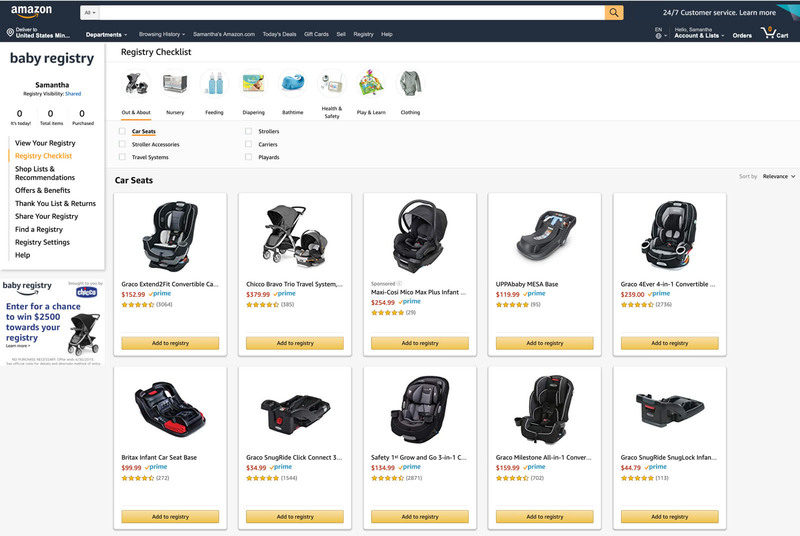 With that list of features in mind, we compared all the most popular online baby registries and found that Amazon has the best one. Amazon baby registry is free to use. It’s very easy. And it helps you save a lot of money with discounts and exclusive promotions. In addition, because most people are already familiar with shopping on Amazon, it’s the best platform to share with your friends and family. You won’t have to spend time explaining to people how to use the site. 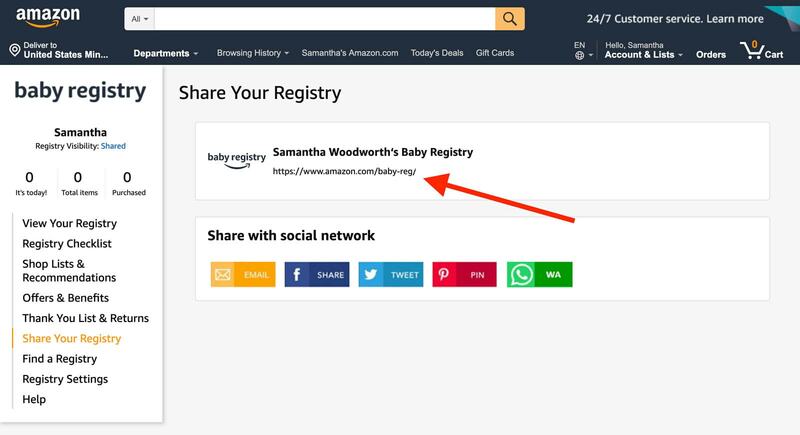 If you sign up to an Amazon Baby Registry using a link from our website, we earn a small referral commission. So you could assume that we’re biased in our recommendation. 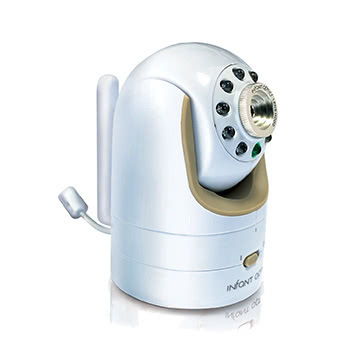 In fact, we could earn similar commissions by recommending any other popular baby registry online. From Target to Walmart, Buy Buy Baby and many more, virtually every baby store has similar programs in place. If we recommend Amazon Baby Registry, it’s genuinely because we think it’s the best option available right now. It’s the one we use for ourselves and our family. We wouldn’t recommend it to you otherwise. Amazon simply has the largest selection of baby products available online at the moment. The registry is quick and easy to set up for you. For your friends and family, it’s very easy to use and they probably already know how to shop on Amazon. 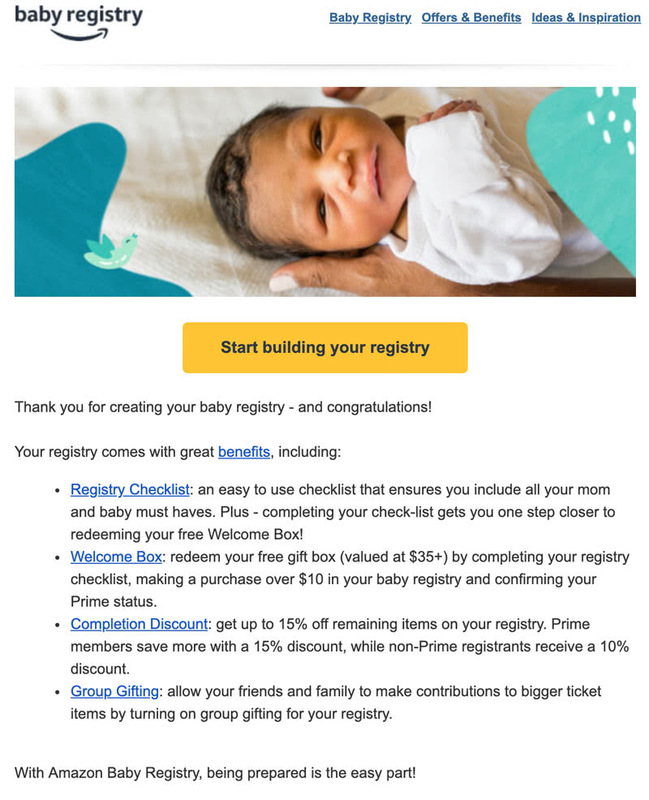 The baby registry is free but you get great discounts if you also sign up for a Prime membership (check the latest price here). There is a free 90-day return policy on anything purchased from your registry. If you’re not happy with a gift, you can easily return it for a full refund. No question asked. It’s great to have the option for group purchases for more expensive items on your list. You get a generous 15% discount on any items from your list up to $2,000. The other registries that we tried had more conditions to make that work (or didn’t offer any discount at all).